Grab your toolbox and step into the Kidstuction Zone. 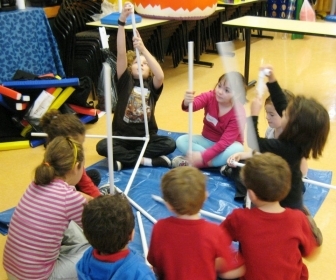 Using your minds, hands, creativity and cooperation, teams will work together to gather, build and demolish a variety of infrastructures using unique and unexpected items. Build confidence. Build Self-Esteem. Build in the Kidstruction Zone. Unique building experience each week!